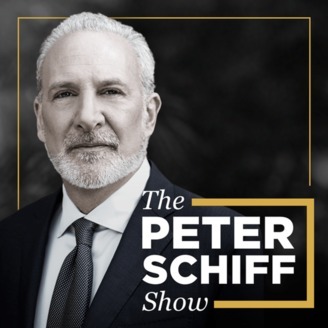 Peter Schiff is an economist, financial broker/dealer, author, frequent guest on national news, and host of the Peter Schiff Show. 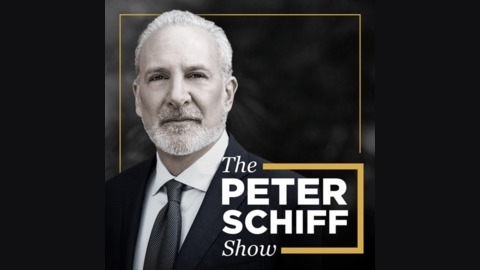 He follows up his daily two-hour show with a weekly, two-hour podcast focusing on weekly economic data analysis and unbiased coverage of financial news, both in the U.S. and global markets. As entertaining as he is informative, Peter packs decades of brilliant insight into every news item. Join the thousands of fans who have benefited from Peter’s commitment to getting the real story out every week. qqawrh5c. Recorded April 16, 2019 VISIT PETER AT THE LAS VEGAS MONEY SHOW May 13 - 15, 2019 https://conferences.moneyshow.com/moneyshow-las-vegas/speakers/4532d84bf93311d3a5dd00104b96e7b5/peter-schiff/ Tax Day Yesterday was April 15th - Tax Day, or as my father, Irwin Schiff used to say, "April Fool's Day". My father thought it was April Fool's Day because he believed that that was the day on which Americans basically voluntarily paid a tax that no law required them to pay and voluntarily filed a 1040 tax form that no law required them to file. Of course, my father ultimately went to jail and died and jail because of those beliefs. I have been paying my taxes, although now that I live in Puerto Rico it's not nearly as painful as it used to be when I lived in Connecticut. 16th Amendment A lot of people don't realize that April 15 was not always Tax Day; a little bit of trivia. When the income tax first passed, or reared its ugly head in 1913 - although that's not the first time we had an income tax. We had an income tax during the civil war. The North imposed the tax and when the war ended, the income tax went away. It came back again, and it was declared unconstitutional, correctly, by the Supreme Court in the Pollock Decision. Then they resurrected it with the 16th Amendment, and following the 16th Amendment in 1913, the original Tax Day was March 1. Income Tax Why is that? Because the income tax is a tax on your income for an entire year. So, we are now in 2019 and we're paying our income taxes for 2018. But you don't know what your income is in 2018 until the year is over. You may have earned a lot of money early in the year - you could lose it all back on the last day of the year and end up with no income at all - end up with a loss. So the idea was, if you're going to tax your income, then we have to wait until the end of the year, and then we have to give you some time to add up your income and figure out what you owe and then pay the tax.